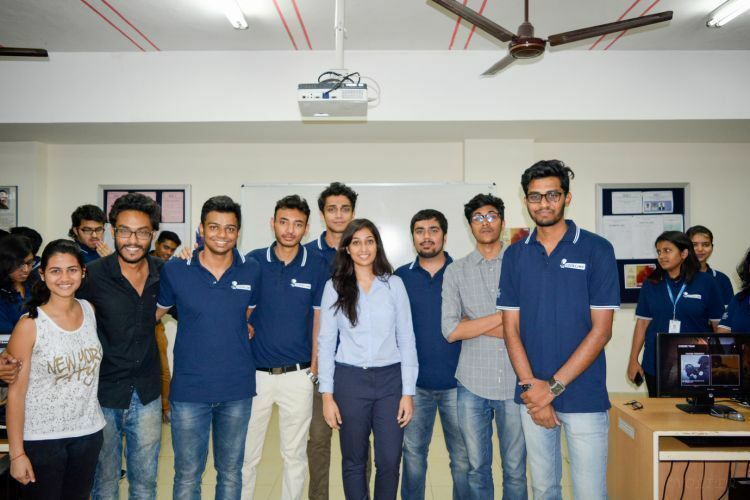 CodeChef-VIT Chapter organized their signature event CODE COMBAT on 14th April 2017. Despite being a slow day in VIT due to 14th being a holiday on the occasion of Good Friday, the computer labs on the 4th floor in SJT building were bustling with the participants of this challenging event. CODE COMBAT saw the participation of about 80 students, who took part in this challenge, which not only tested their gaming skills but also their coding skills. There were about 25 participating teams, where each team was comprised of 3 members – 2 gamers and a coder. The result was to be calculated on the performances of both the gamers and the coder. The ingenuity of this event lied in the fact that how well synchronized both the gaming and coding competitions were. 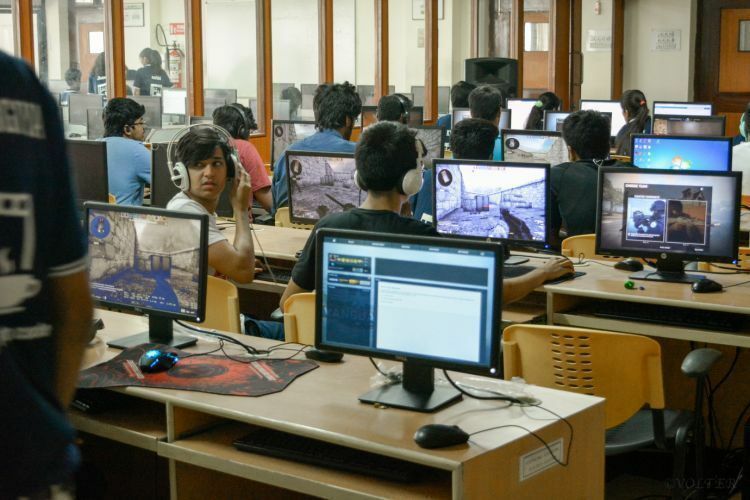 While the gamers’ arena was the famous FPS game Counter-Strike: Go, the coders were welcomed with various tricky tasks including debugging among others. The Easter egg of the competition was that for every two kills by the gamers in CS: Go, their coder buddies got 1-minute extra time in their ordeal with coding. The competition kicked off in a league - style arrangement which saw a 4 vs 4 face- off in a 10 min/round of Counter-Strike, with each team facing every other team eventually. On the other end, the programmers typed their way in each round facing various challenging tasks with each round lasting over 20 minutes. Refreshments were served after initial rounds, where we got a chance to talk to the President of CodeChef – VIT Chapter, Ms. Mallika Rai. When we asked her if there had been other events comparable to Code Combat in the past, she mentioned their successful Gravitas event Cook-Off. However, as she pointed out, this had been a purely coding event. The introduction of gaming into a coding event was a novel idea seen for the first time in Code Combat. Ms. Rai was happy to see the enthusiasm of the participants that day including the competitive spirit of the coders. The event went according to plan but certainly needed the core members to be active and on their toes at all times. Since the competition was so fierce, the president added that she felt it was important for all the participants to feel motivated and enjoy the event. Hence there were some fun inter-round events wherein the participants had to guess the game quotes, with the winners receiving a rejuvenating bar of chocolate. Being a coder herself, she encourages all core members to code regularly. CodeChef conducts app development and web development workshops as well, the motive being to prepare their members to face the new demand for experienced coders in the market. Ms. Rai herself encourages girl coders in order to break the gender stereotype of it being a male-dominated field. She ensured there was event publicity in the women’s hostel blocks as well as the men’s. We also interviewed few of the core committee members of CodeChef- VIT chapter, who were clearly excited about their event. Vineet Shahdeo, a 2nd-year core committee member highlighted to us that this was their biggest event in this semester, resulting in a large response from VITians. He felt that the mix of gaming and coding would attract junior participants rather than purely coding events which might seem monotonous. Another core member, Divyanshu, a first year let us know that this was his first big event after being inducted into CodeChef. Being from the tech team, he felt that working with management and being at the forefront of conducting the event was a truly amazing experience. He also mentioned that ‘all work and no play makes Jack a dull boy’ and so this event brought a fun twist to a coding event by bringing together gamers and coders. 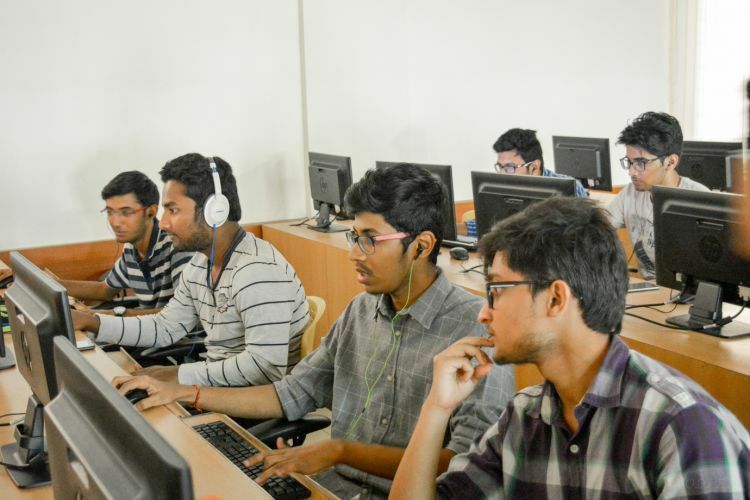 Divyanshu added that since this was a team based game, it seemed to reflect what coding and gaming are really about –working as a team to do great things. As the CODE COMBAT proceeded, the atmosphere grew more tensed, with the gamers trying to prove their gaming skills against each other and the coders trying to prove their mettle in coding. We talked to some of the participants in the event, trying to get their point of view and an inside look at the competition. A gamer for his team, Tarush, who has been a Counter-Strike veteran for 4 years now had never been in this sort of dual event before. He told us he hoped it would be held once every semester. 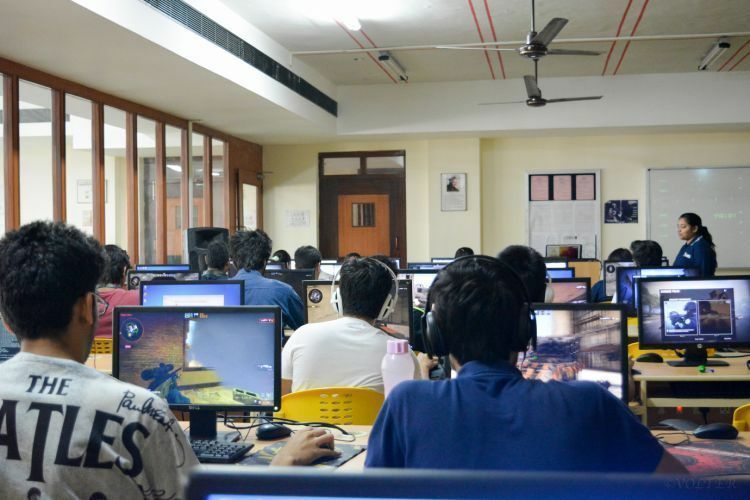 Another gamer and coder, Arnav hopes for much the same, one such event after ever CAT exam to help everyone unwind and a possible game change to Call of Duty. 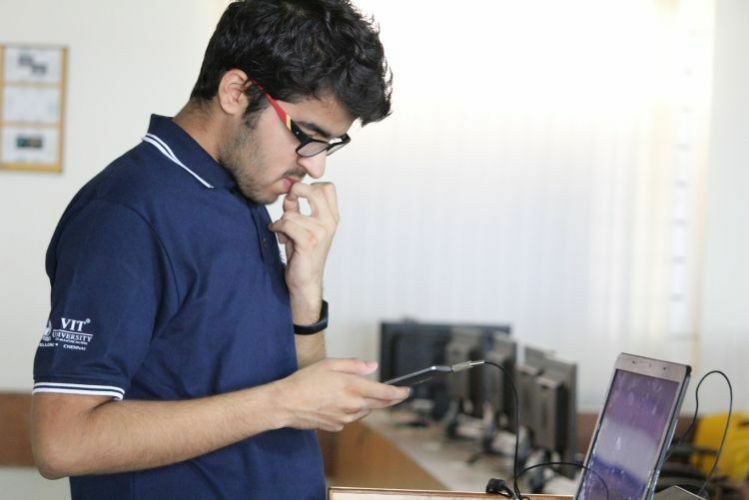 Yash Shah, who has been coding for more than a year after coming to VIT has been attending almost every coding event held by other clubs and chapters. He was happy to be at Code Combat for the new concept, and being able to participate with his roommates who aren't competitive coders but came to the game. He suggested that there ought to be a round to switch between the coders and gamers to spice things up. At the end of first half of the competition, the scores were calculated by the organizers which saw the top four teams progressing to the final round which was of elimination type. 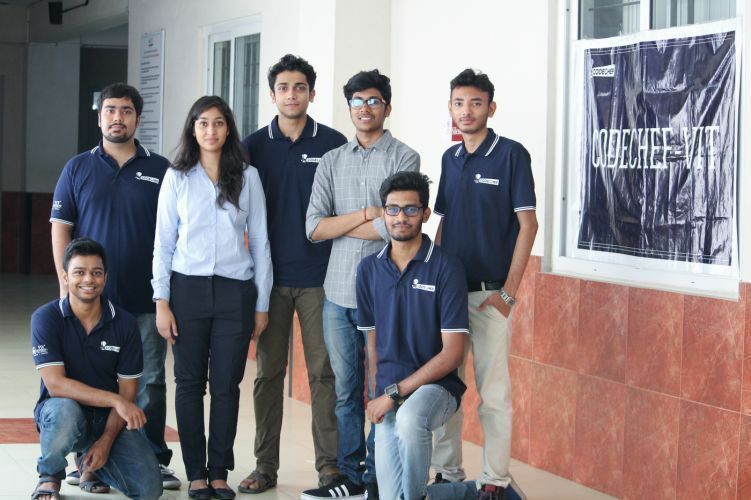 The winners were announced to be Yash, Ninad and Dev in 2nd place, and in 1st place the team of Chintan Thobani, Milan Saspara and Harshit Bhatt. Code Combat showed fierce competition between teams, however, the ultimate take back from the event was the spirit of teamwork displayed by each participating team. CodeChef may just have more such events up their sleeve in the upcoming semester, and they can sure expect to have people signing up in droves.